#273. Canoeing on the River. 24 x 28, oil on canvas, relined. "Gilbert Munger" lower left. 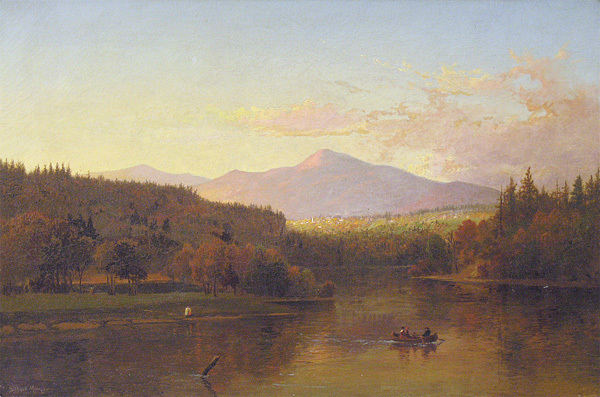 The typography and the church steeple suggest that the picture depicts an unknown location in the eastern US. 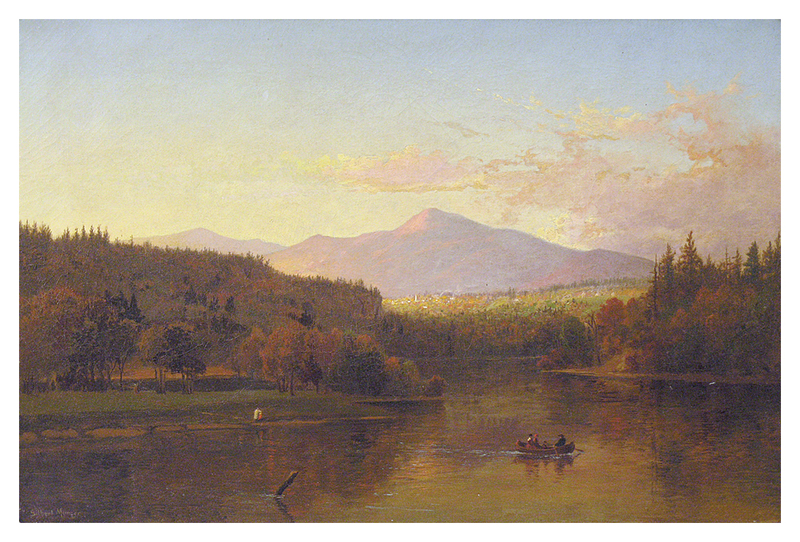 The mountains look a lot like New England, but Munger is not known to have painted there. Another possibility is in the Virginias or Maryland along the Potomac River, where Munger is know to have painted. Sold as lot 6229 at the Clars Auction Gallery (Oakland, CA) sale of 15/16 May 2010 for $4,750 + 19% buyers premium. Digital image provided by Clars Gallery.